Did you know there is a Wolfenstein 3D map in Kingpin? Just a quickie map i made while waiting for my new comp, its layout is VERY similar to theoriginal Wolf3d level 1 released somewhere around 1992 I think. There are some small differences, like : theres stairs, i put them in to make it a little more "dimensional" lol. 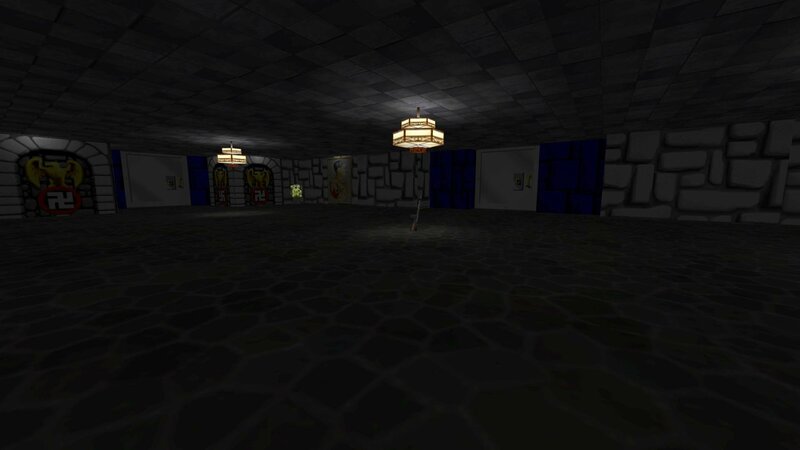 Theres lots of secret rooms all in the same places as they were in the original wolf3d, but instead of treasure theres teleports to different places around the map, giving it a bit more deathmatch friendly layout. Lots of weaps, lots of ammo, lots of armor, and more spawn points then you can shake a stick at. 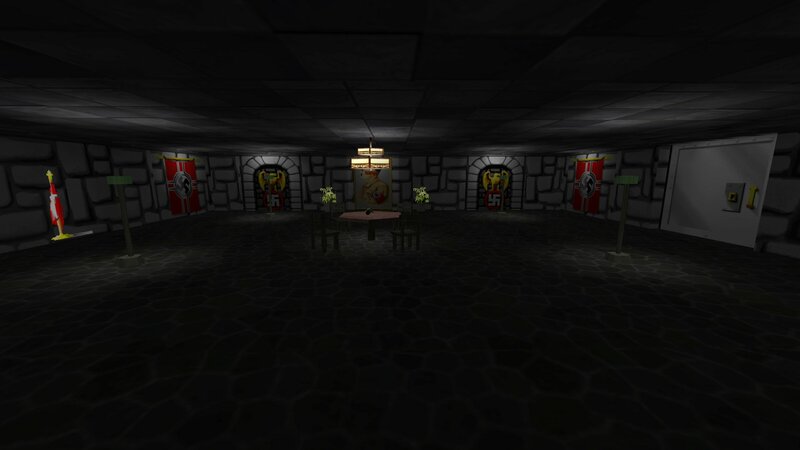 You can download Wolfenstein 3D from here.